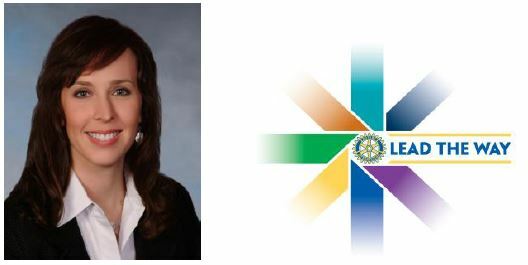 Salem Rotary took to heart the international Rotary theme of “Lead the Way” and made outstanding strides during this Rotary year. Three projects were funded through the $30,000 proceeds of the club’s raffle. Marion-Polk Food Share, Head Start, and No Meth-Not In My Neighborhood all received a share of the proceeds to improve their services to their clients and provide much-needed services to the community. In addition to the grant to Marion-Polk Food Share, the club once again took part in the Food Share Drive. In its 17th year of participation, club members raised $10,684 plus 70,000 pound of food. Giving to community projects did not end there. Thirty-eight Rotarians and their family members staffed kettles for three days during the Salvation Army Kettle Drive and at the club’s December, “Kettle Day” donated more than $4,600. In addition, the Salem Rotary Foundation gave grants totaling $10,400 to Chemeketa Community College, A.C. Gilbert’s Discovery Village, Liberty House, YWCA, and South Salem High School. Providing the sweat equity to help fund these grants and projects, Salem Rotarians once again staffed the Elephant Ear booth at the Salem Art Fair. The triple-digit heat made it next to impossible to sell any food items that were hot, but water and soda were hard to keep in stock. The club’s Youth Literacy Committee continued its exceptional work, receiving the District 5100 Zone Award for the second year in a row. In addition to distributing books to students throughout the year, the Literacy Committee also spearheaded the dictionary program. This project, started by our club 13 years ago, distributed more than 4,000 dictionaries to fourth grade students in the Salem-Keizer area. Other highlights showing the club’s leadership in supporting youth included collecting and distributing 309 gifts through our Tree of Joy program, supporting the Interact Club at both North and South High School and sending three young people to the district RYLA camp experience. Leading the way on the international front, the club sponsored one out-bound student to Germany, Alyssa Pinter, as part of the international youth exchange and hosted one in-bound student from Taiwan named Yi Wen Yeh who we fondly called Wen Wen. Honored with a World Community Service Award, the club also supported projects in Guatemala, such as a water project, hospital and wheel chair repair, and in the Ukraine another water project. The club also hosted a Group Friendship Exchange from the Rotary Club of Simferopol, Ukraine for a week. Moreover, in financial support of international projects, members of Salem Rotary again surpassed the RI standard of $100 per members by donating $23,550 to the Paul Harris Foundation. This included 15 Paul Harris Fellow or Multiple Paul Harris Fellow awards and 8 new Sustaining Paul Harris Fellows. Lastly, Rotary International awarded Salem Rotary “Best Club in District” award for membership development and retention. Every member of Salem Rotary can be proud of the difference we made in our community and our world.